With their last Image Comics series, Great Pacific, writer Joe Harris and artist Martín Morazzo revealed their fascination with climate change and political intrigue by telling the story of a fugitive oil heir that settles the Great Pacific Garbage Patch. 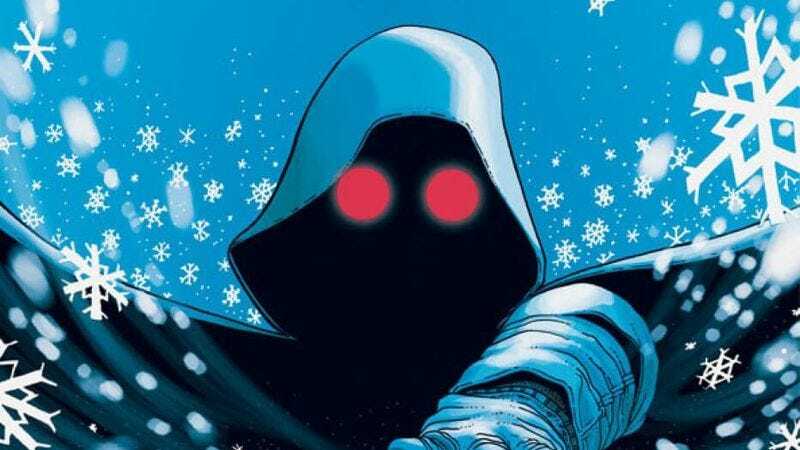 Those two plot elements are also at the core of their new ongoing Image endeavor launching in February: the politically charged sci-fi thriller Snowfall. Set 30 years in the future, Snowfall imagines a world where corporations rule the “Cooperative States of America” and climate change has gotten so bad that snow has become a phenomenon of the past. This extended preview of Snowfall #1 details the status quo of the series and introduces the one man fighting against a broken system, The White Wizard, combining world-building and action to thrust the reader into the setting. Joined by colorist Kelly Fitzpatrick, letterer Michael David Thomas, and designer Tom Muller, Harris and Morazzo kick off the book with an intriguing start, but readers will have to wait until February to learn more about this bleak near future.